The Remington Model 700™ SPS™ Buckmasters Edition is available in 243,7mm-08 Remington,270 Win ,30-06 Springfield , 7mm Remington Mag , 300 Win Mag , or 243 Win. This gun is solid just like the other Remington 700's. They've had decades of development and real world testing. All of the Remington Model 700™ SPS™ Buckmasters that you may be seeing in shops are those that have not yet been sold. This gun has been discontinued as a specific sub-model of the 700. 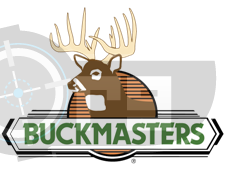 This gun has a special engraved hinged floorplate with the Buckmasters logo. The gun is covered in the Realtree® Hardwoods® HD™ SPS camo design. They also have a “Young Bucks” model 700 Buckmaster that is chambered in 243 Winchester so it doesn't kick so much for those young bucks :) that might be shooting it. All models have the X-Mark Pro™ Trigger that is adjustable to your liking.